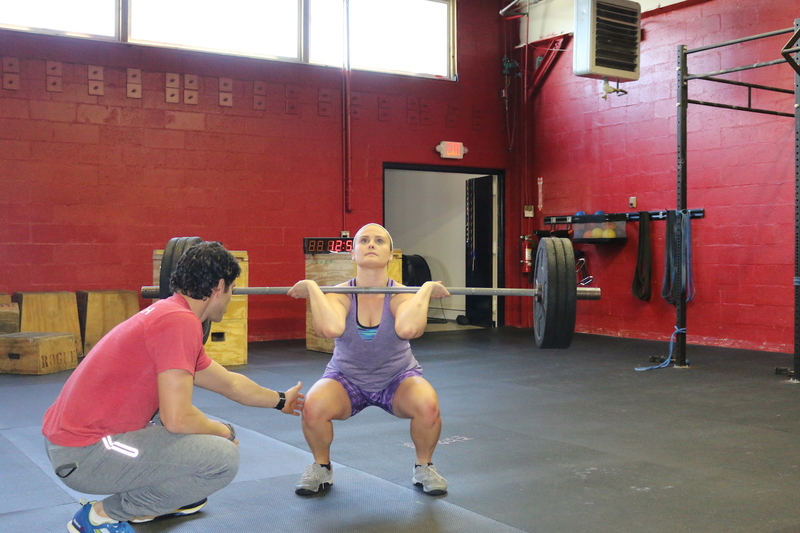 Want to try on the CrossFit experience? Sign up for a FREE one-hour individual session with one of our own coaches. You’ll get a tour and orientation, movement assessment, and have a fun workout. 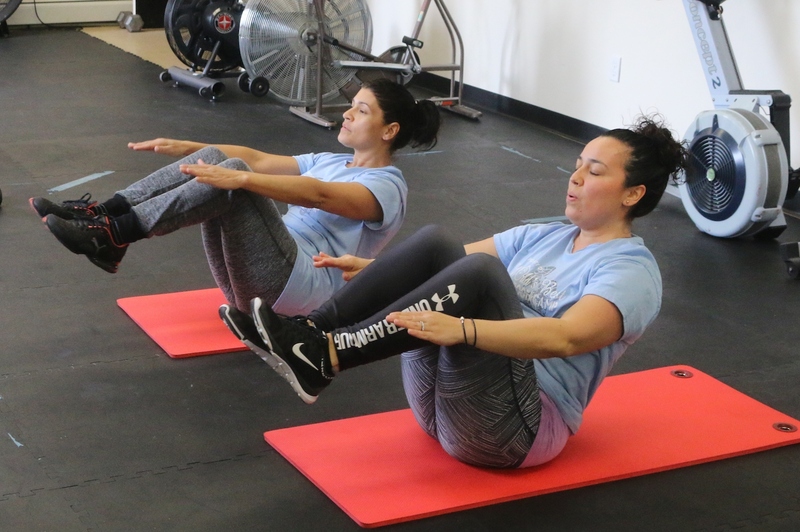 No matter your fitness level, our coaches will tailor the workout to your individual needs, and will give you a good understanding of how exciting our CrossFit program is here at CrossFit Stony Brook. We look forward to getting to know you. The Burn Class will feel familiar. It’s an energetic interval workout, with plenty of cardio and basic CrossFit moves. It’s still based on the CrossFit science, just without the advanced movements. If you’re CrossFit curious, but aren’t sure about the barbells or are a little intimidated by it…this class is a great way to work your way into it. You may find that you’re able to do more CrossFit activities than you realized! This class is also available to advanced members who want to expand their cardio capacity. Our 6 Week Transformation Program is for our first-time CrossFit members. It starts as a slowed down pace to allow you to learn the basic and core exercises. We help you and your body learn proper technique, and get your body ready to keep pace with the group classes. This program sets you up for success; you receive a full orientation about our programming methodology, you learn the modifications for the exercises, and how to modulate for personal intensity. This is a small-group class, which allows our coaches to fine tune your technique and to help you develop your goals. Group Fundamentals meets 2x/week for 6 weeks. 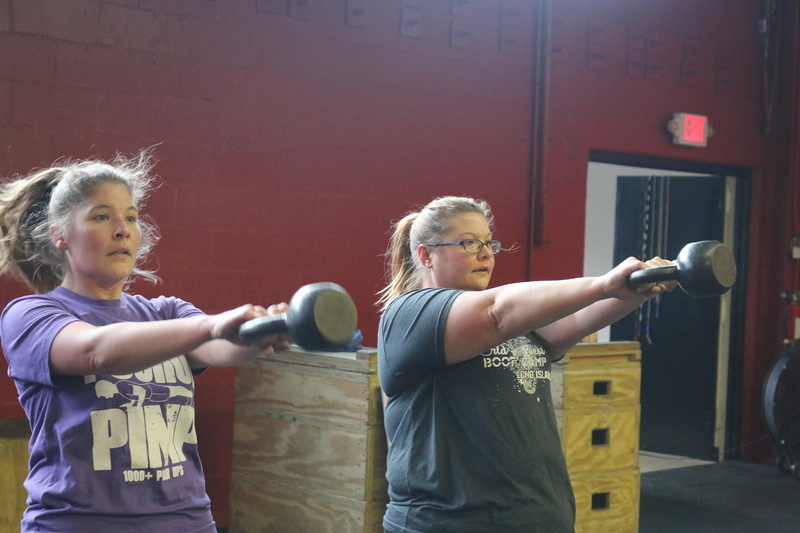 CrossFit Class is the core of our CrossFit program. 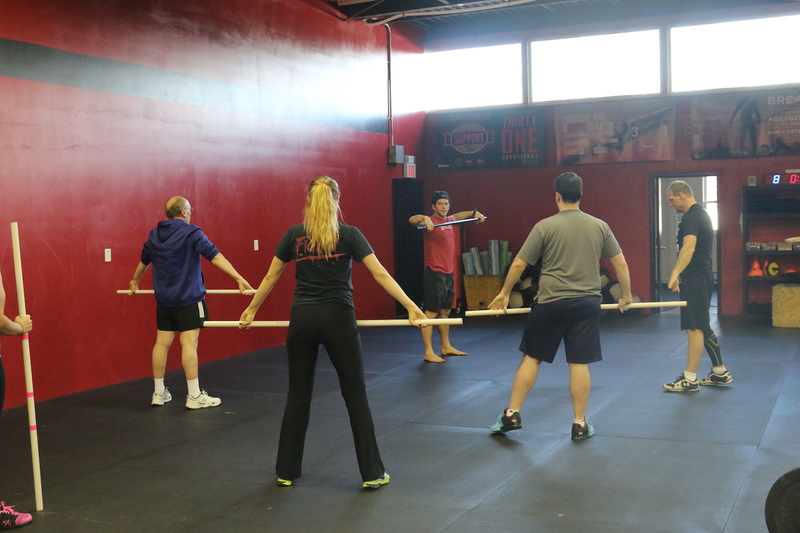 This class is focused on functional CrossFit movements, which are in turn, the core movements of our daily lives. The CrossFit program selects the most effective exercises from multiple workouts and sports regimens. The activities range from metabolic conditioning (“cardio”) to gymnastics, from Olympic weightlifting to rowing, running and more. Workouts are constantly varied—so it never gets boring because it’s never the same twice! The result—increased overall fitness, which literally makes your daily life easier, your clothes fit better and your body starts reshaping. Boot Camp develops core strength and endurance while priming the body for fat loss. The program focuses on metabolic conditioning, body weight-based exercises, and functional moves. The classes are intense but really fun and can be adapted to physical ability and any individual needs. The class meets 2x/week for 6 weeks—1-hour session at a time. We’re results-driven—and each session optimized your workout, moving boot campers through functional fitness movements and strength and body weight-based techniques. Our boot campers find that the program helps them achieve peak physical and mental performance—and appreciate the expert, focused coaching. Concretely, Boot Camp will teach you how to create and sustain a healthy, active lifestyle. Private Training is the most direct way to achieve your individual fitness goals. We work with a range of private clients, from the athlete interested in expanding his/her overall fitness, to people who are brand new to fitness. Our industry-recognized coaches help you define your goals, design and customized program for you and personally guide you on your fitness journey. Your coach ensures that each session is as effective and efficient as possible. 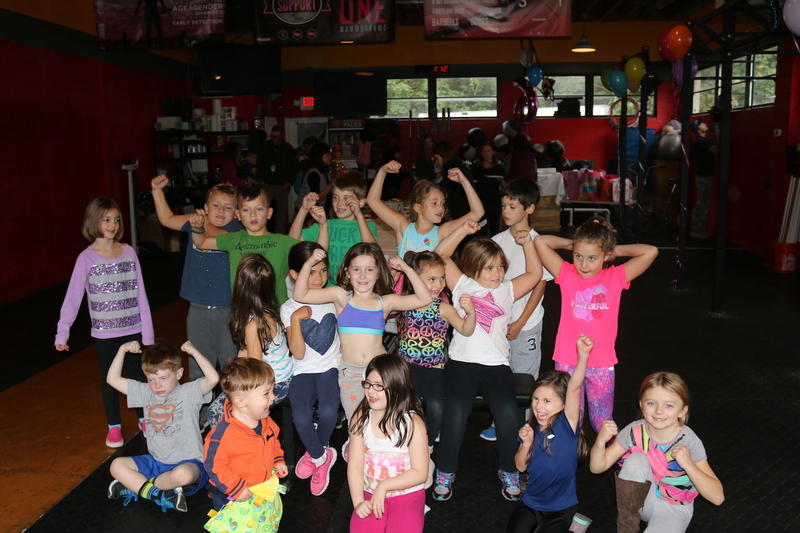 CrossFit Kids helps young people expand their athleticism and develop proper technique. The group classes are for 6-10 years and 11-13 years. The younger group has a deliberately playful groove. In a supportive space, the kids become stronger and more coordinated, learning self-confidence and body-confidence through exercise. The older group is more structured but still fun; our kids tell us how much calmer they feel when they take the classes. We think it helps to balance the stresses of school, tests and competitive sports. This makes sense—after all, multiple research studies confirm that our ability to think is improved by exercise. So, regular participation in a regular exercise program like CrossFit Kids can improve kids’ scholastic achievements. Try it—your children will love it—and you will too! CrossFit Teens, helps young people expand their athleticism while developing core strength and technique. When we can learn how to move well as teenagers, it helps to prevent injuries as young people move into higher level sports, and college/adult level competition. 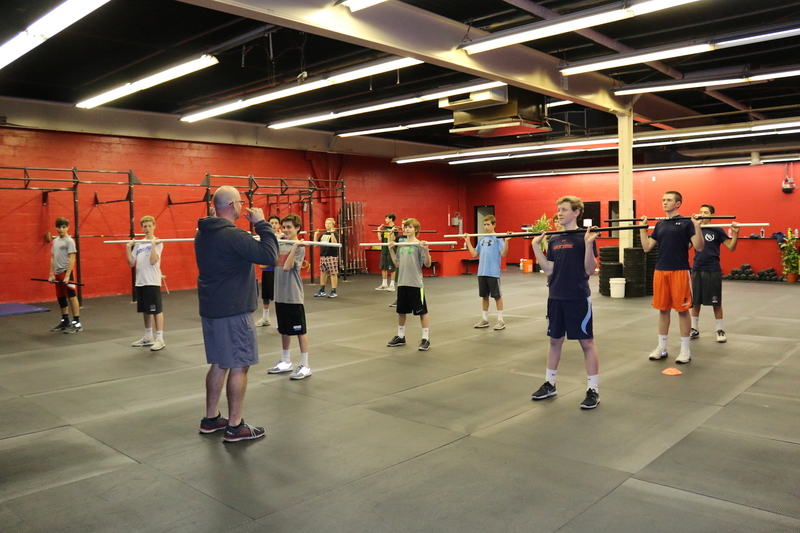 CrossFit Teens complements any sports programs they receive through their high schools, and will help to expand their overall strength and fitness. 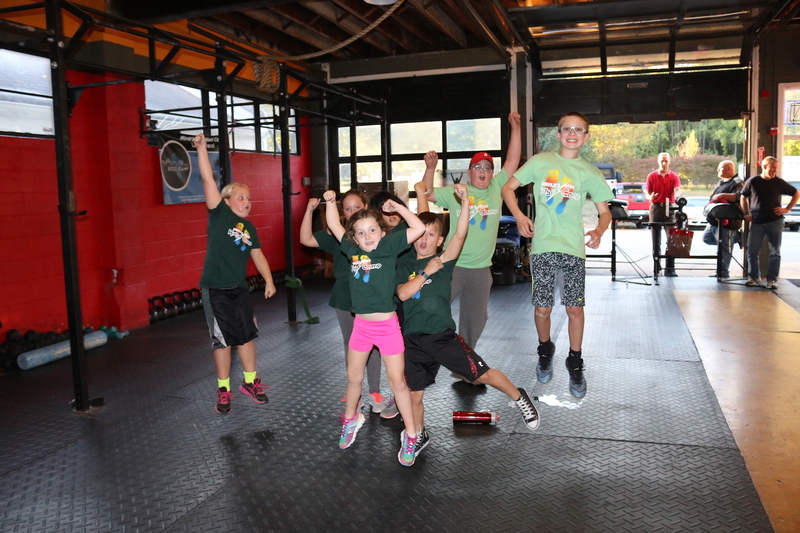 Like the participants in CrossFit Kids, our teens benefit from the positive exercise-academic achievement connection.